Building off Friday's release of Wine 3.20 is now Wine-Staging 3.20 with minor work added into this testing/experimental blend of Wine that tends to particularly suit gamers better than the upstream code-base. Wine-Staging 3.20 still contains more than 850 patches on top of upstream Wine, but at least more patches are being deemed stable and trickling into upstream... Just weeks ago that patch count was closer to 900. There isn't too much to get excited about with Wine-Staging 3.20 in terms of new patches with the only notable addition being a patch to improve dirt rendering in the racing game SpinTires. It's a four year old bug about rendering issues in this off-roading game. The patch that's been available and now included in Wine-Staging though is considered a hack more than a permanent solution. We'll see what comes about if anything for helping this indie racing game. Faulty rendering in Wine for SpinTires; reported by Andrey Gusev. 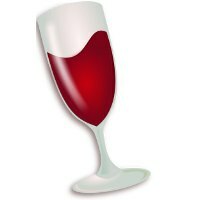 The Wine-Staging work continues to be housed on GitHub.